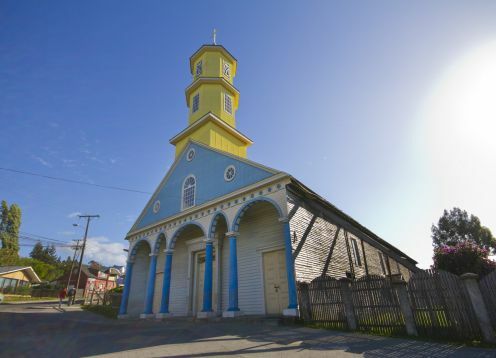 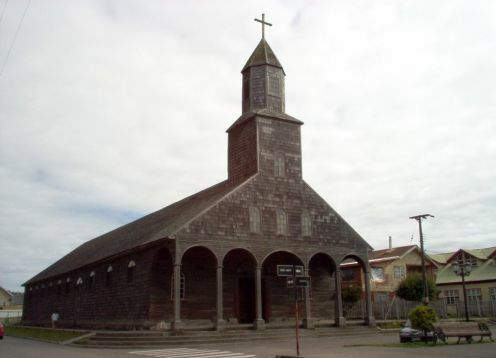 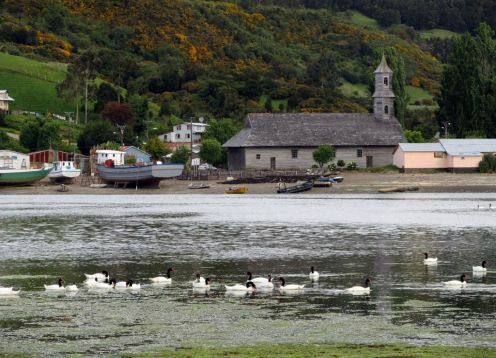 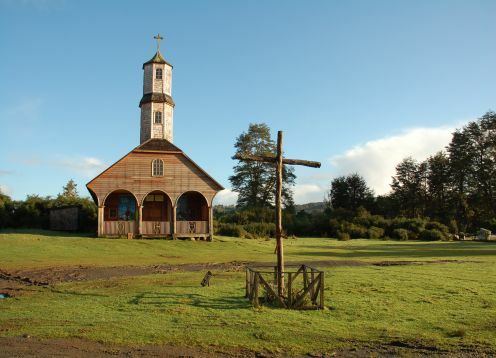 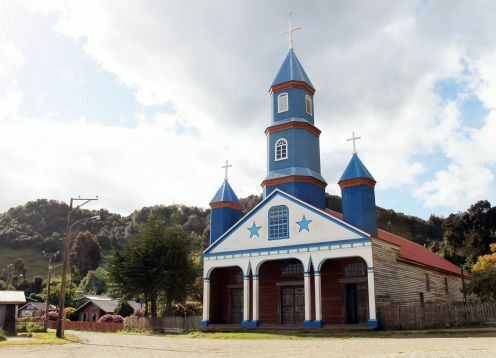 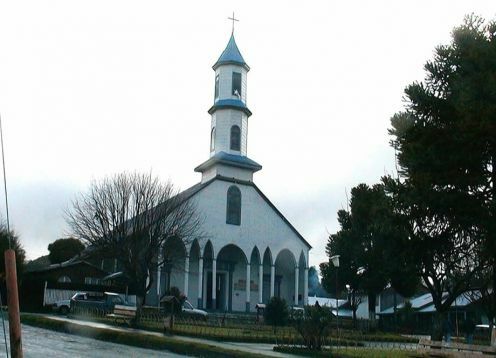 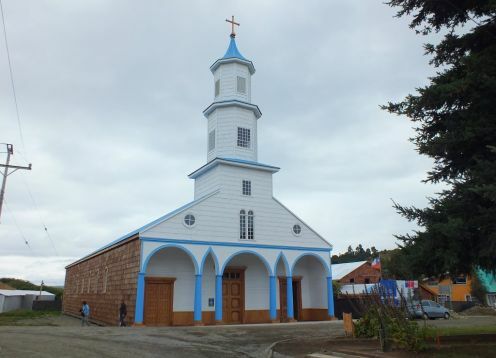 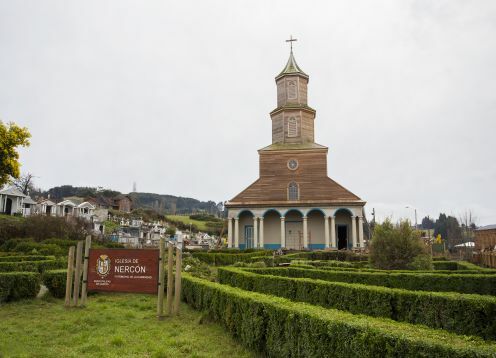 Located in the town of San Juan, Dalcahue Commune was declared a National Monument, in the category of Historical Monument on August 19, 1999, by Exempt Decree No. 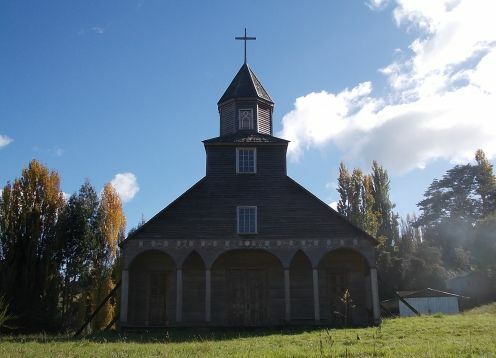 222. 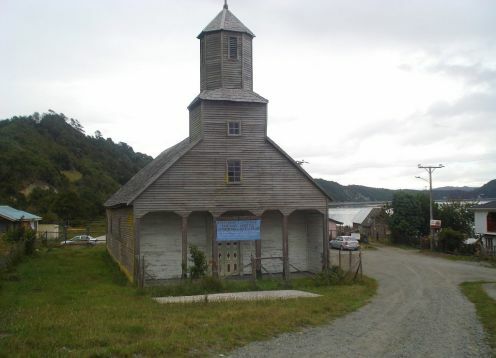 It was built in the early nineteenth century, is one of the churches has been more faithfully. 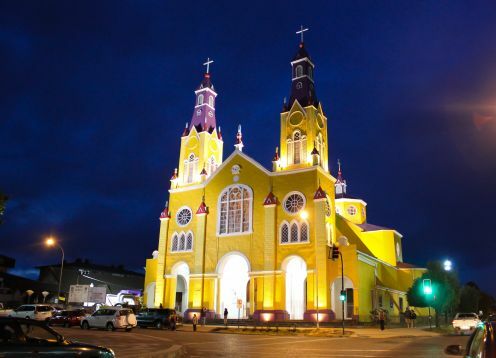 Inside the white prevails, and the details of ornamentation are red with some black details. 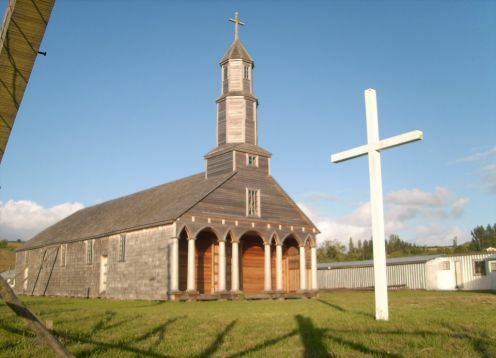 It has a tower with two octagonal drum base and octagonal spire, the pillared portico is one piece and has no arches, the pediment is larch. 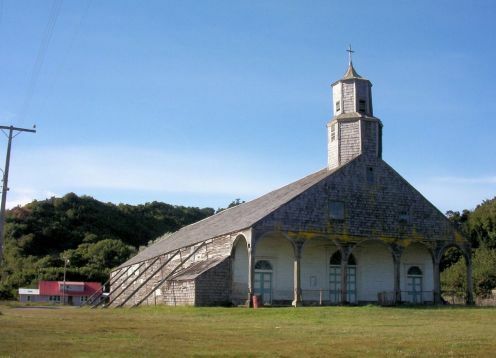 The nave has a vaulted arch and ornamentation, its pillars are of square section and ornate.